One hundred years ago, this year, an art and design school opened in Germany. It would remain in operation for just 14 years, under three different directors, two of whom would disagree fundamentally about pretty much everything, yet the ideas it inspired changed the world. Their influence is still felt today. 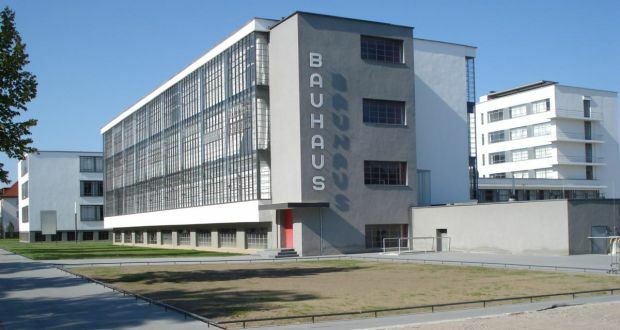 Bauhaus Effects, a major conference to be held in Dublin, examines the legacies of the Bauhaus, from architecture to building design, from mass production to ways of teaching and learning. It even takes a foray into hairdressing. In a collaboration between the National College of Art and Design, University College Cork, University College Dublin and the Goethe Institut, speakers from around the world will explore topics including toy design, fashion and beauty, art, airplanes and graphic design. Many think of the Bauhaus as an architecture movement, although the school didn’t initially have an architecture department at all. Rising from the chaos of the aftermath of the first World War, the Bauhaus was founded by Walter Gropius, who had initially worked under the architect and designer Peter Behrens, and alongside Ludwig Mies van der Rohe and Charles Jeanneret, who preferred to call himself Le Corbusier. While Gropius declared that the Bauhaus was entirely apolitical, it was nevertheless a product of its time. With old regimes in ruins, the Russian Revolution changing thinking to the near East, and all the advances in production processes and materials that develop at times of major conflicts, ideas of starting anew and remaking the world were strong. One of these new philosophies was Modernism, a school of thought closely linked with and developed by the Bauhaus. A central tenet of Modernism was that living, and life could be streamlined and perfected through design. Although not a Bauhaus teacher himself, Le Corbusier, a famous Modernist, described houses as “machines for living”, and it’s that sense of the mechanisation of life, coupled with utopian ideas of perfectibility, that make uncomfortable confluences of ideas between Modernism and National Socialism, AKA nazism. This is not to state that Modernism is linked to nazism, indeed the Bauhaus closed down in 1933, under pressure from the Nazi regime, and the White City in Tel Aviv has the highest concentration of buildings in the Bauhaus style of anywhere in the world, a legacy of the German-Jewish architects who left Germany for that city to find safety in the 1930s. Instead, it is to suggest that all utopian thinking can ultimately be dangerous, and that dreams of designing out or elimination imperfections in life (which is ultimately a messy, chaotic business at the best of times) carry unfortunate connotations and the risk of being hijacked in unforeseen ways. 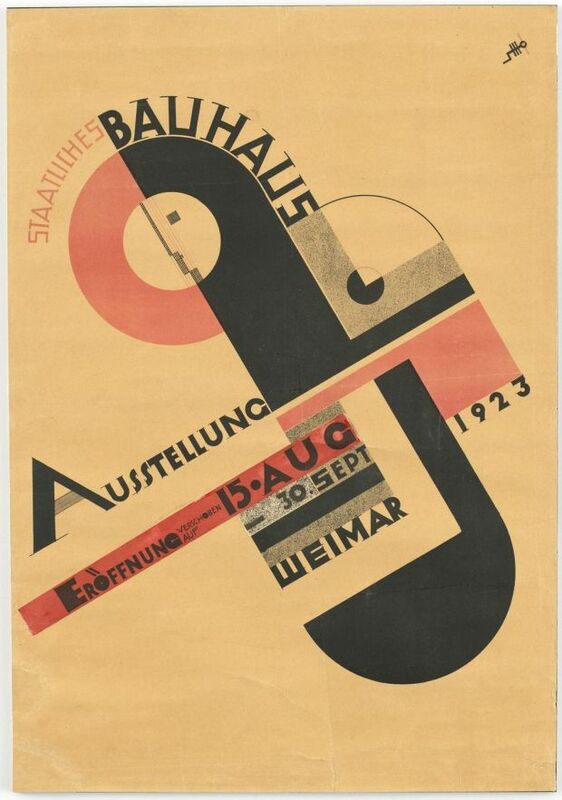 Joost Schmidt’s poster for the Bauhaus Exhibition held in Weimar in 1923. A look at the Bauhaus list of teachers quickly scotches any idea of a uniformity of thought. Artists who taught there include colourist Josef Albers, and his wife Anni, who, shockingly, for such a “forward thinking” institution wasn’t allowed into the glass workshop, and instead studied and taught weaving, a discipline in which she innovated and excelled. Wassily Kandinskywas there, as was Paul Klee, and Hungarian constructivist Lásló Moholy-Nagy. Architects and designers included Marcel Breur, as well as the two latter directors, Hannes Meyer and Ludwig Mies van der Rohe, who disagreed so fundamentally that van der Rohe would not allow any of Meyer’s supporters to attend the school, when he took over in 1930. Rather than being utopian, Halsall is idealistic about the value of art school education, so shaped by the early Bauhaus ethos (let’s ignore, for now, the van der Rohe exclusionary decrees). “I think everyone should go to art school,” he says. “It’s not just about producing people who are going to become artists and designers. 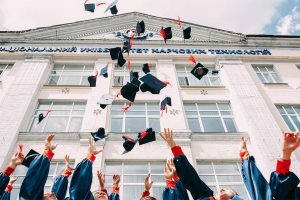 With an art school education, you’re producing citizens, intelligent people, creative people, people who are going to engage socially. One of the great things about art schools is that they haven’t worked out a way of instrumentalising it yet. They’re not yet driven by research agendas or around funding; although it would be nice for them to have more support and be better-funded . . .” Another principle of the Bauhaus was the crystallisation of an earlier ethos: the Gezamkunstwerk, literally the “total work of art”, in which art, design, music and architecture combined to create the perfect, total environment. Beyond art and architecture, it means looking at society as a system, and modelling it that way. “It’s not about the individual expression, but collectivity,” continues Halsall. The question is, what does that collectivity entail? Is it a top-down movement, currently being witnessed with the rise of populism, or a group ethos of working together for the wellbeing of all? For Halsall, the interesting legacies of the Bauhaus are its ideals and principles, rather than the objects and buildings it has developed, and inspired. “If you look at the products, it becomes a set of stuff that looks like Bauhaus stuff, but if you go back to the ideas, you find the principles of collectivity, of radical experimentation and probing into materials, ideas and vocabularies; and of a set of responsibilities to other people, to techniques and to the materials.” Well worth exploring further. After the closure of the Bauhaus, and the rise of nazism in Germany, many of its professors left to teach around the world. Through them its influence spread. Robin Walker, later of Scott Tallon Walker, won a scholarship to the Illinois Institute of Technology, where he was tutored by former Bauhaus professors including Mies van der Rohe, Ludwig Hilberseimer and Walter Peterhans. You can see its influence, in varying degrees, across many of Ireland’s buildings today. Formerly a Smithwicks Brewery building, the Bauhaus-inspired Brewhouse dates from the 1960s, and is being redeveloped as offices, education and research spaces by Reddy Architecture as part of the Abbey Quarter scheme. The first purpose-built government building to be commissioned by the new Free State, this 1938 building may include carved scenes from Irish mythology, but it steadily throws off ornament as the walls get higher. By James Rupert Boyd Barrett. Architect John M Johansen studied with Walter Gropius, Marcel Breur and Josef Albers in the USA. This 1964 building is an odd mixture of brutal, functional and fanciful (its design was meant to have been inspired by ring forts and Martello towers), showing that even the purest design thinking becomes altered over time. A line of red brick at ground level is a nod to local Dublin architecture, but from there up the façade of this 1937 building by O’Toole, Robinson and Keefe is as clean and clear as any Bauhaus devotee could wish for.